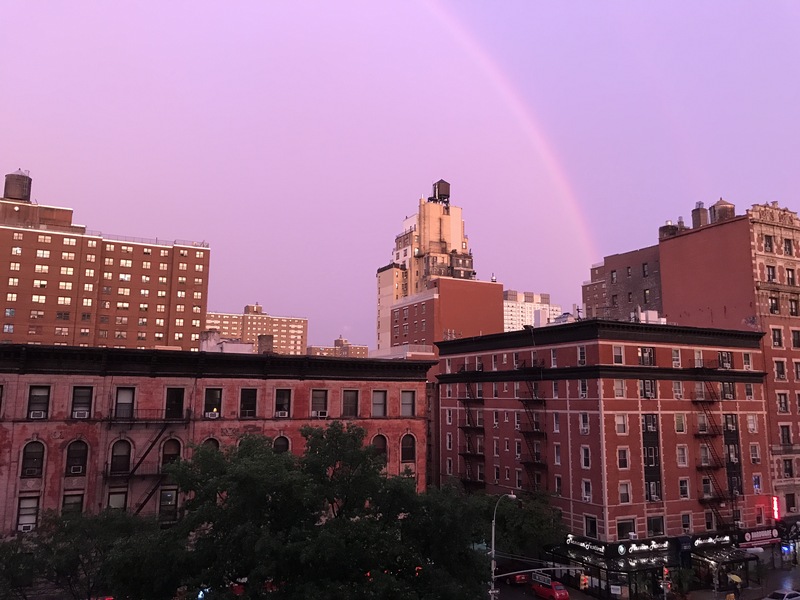 After a thunderstorm, a rainbow in the magic light over Broadway. This entry was posted in Uncategorized and tagged iphoneography, New York, New York City, rainbow, street photography. Bookmark the permalink.